The canal not only serves as a recreational amenity but is also a notable wildlife habitat. The alkaline water from the chalk springs at Greywell and the acid water content eastward where the canal passes through heathland, has given rise to one of the largest varieties of aquatic plants and invertebrates in the UK. As many as 25 of Britain’s 39 species of dragonflies and damselflies inhabit the canal. 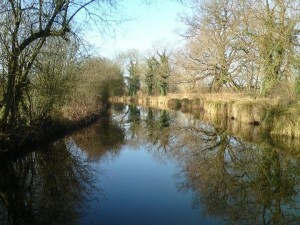 Recognising the unique ecological importance of the canal, English Nature (now Natural England) designated the entire waterway, except for a length through Woking, as a Site of Special Scientific Interest (SSSI) in 1995. 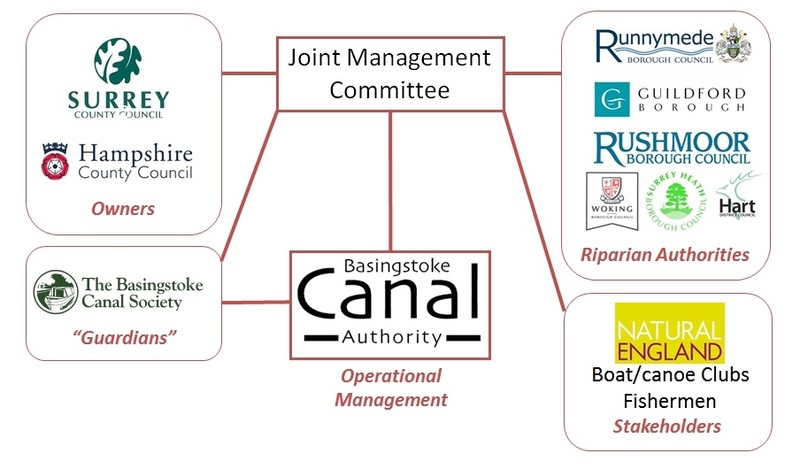 Strategic management of the canal is provided by the Joint Management Committee, which has representatives from the two County Council owners, the six riparian (neighbouring) Borough and District Councils, the Basingstoke Canal Society, Natural England and other conservation bodies. 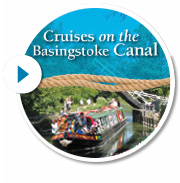 Day-to-day operational management is in the hands of the Basingstoke Canal Authority (BCA), based at the Canal Centre in Mytchett. The BCA derives income from licences for boats, anglers and other enterprises, but the majority of its funding comes from the County and neighbouring Councils, with a significant contribution from the Society. Most of the these Councils are not under a legal obligation to pay their contribution and some have not done so in full for some years, which has contributed to a considerable backlog of maintenance work. 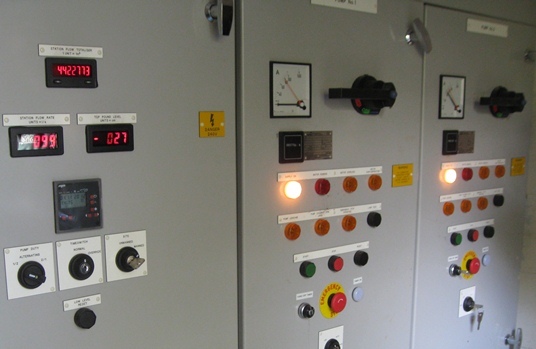 As a result of this and other factors, a review was undertaken in 2006 of the funding and management of the canal. Recommendations were presented to and accepted by the Joint Management Committee in the autumn of 2006. Perhaps the most significant was to abandon any further consideration of closing the Canal to navigation, which at one stage seemed a distinct threat. 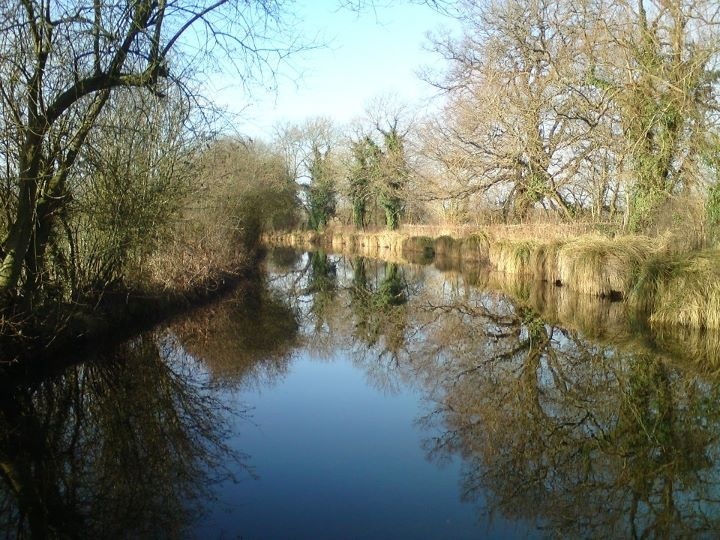 The Counties have since started on a major programme of work, that will cost several million pounds, aimed at returning the Canal to a fully safe and usable condition. (The Deepcut flight was finally reopened in April 2013 after nearly 5 years of closure resulting from a maintenance backlog). Hear a wide-ranging interview with Society Chairman Philip Riley, where among other things he talks about funding of the Canal. Apart from lack of funding, the Canal’s other major problem is lack of water. It never had a summit pound reservoir and relied mainly on springs at Greywell to feed it. Increased levels of water abstraction together with climate change have meant that use of the locks has had to be suspended for large parts of the summer in most years since the re-opening. This has obviously discouraged boaters from visiting the canal. The Canal Society has been instrumental in installing back-pumping schemes to enable the locks to keep working in dry periods. The first of these schemes took water from below Lock 1 and pumped it up a pipeline below the towpath to discharge into the Woking pound. The project was largely funded by the Heritage Lottery Fund and built by contractors, but volunteers also played a significant part. 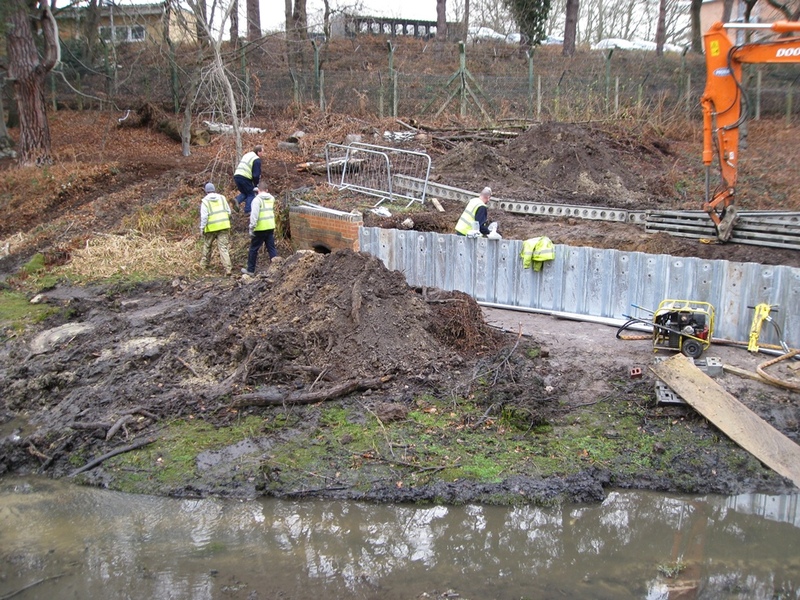 Volunteers did all the work installing a second scheme to back-pump the St.John’s flight, with funding mostly from the Canal Society and the IWA. 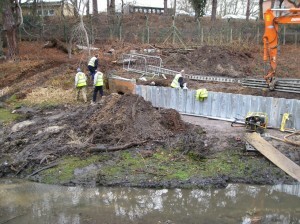 Studies are being carried out to determine the best way of enhancing the water supply to the Deepcut and Brookwood flights of locks. 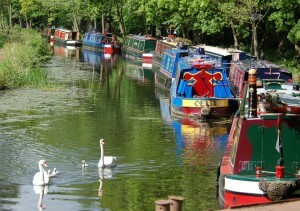 It is certainly true to say that although the Basingstoke Canal has never been a very successful transport route, it has provided a highly valued recreational facility for the local population for well over a hundred years; in its hey-day there were about a dozen boat stations on the top two pounds where pleasure boats could be hired. However, the majority of the people using the canal have always been the walkers, cyclists, wildlife lovers and anglers who just enjoy its tranquillity. Their support perhaps has been the secret of its survival. 2006 saw the 40th anniversary of the Canal Society and the 60th anniversary of the IWA, so it was fitting that an IWA Campaign Rally was held at Brookwood to raise awareness of the continuing need for support for the canal. Over 200 boats attended the rally which was a very successful event.